Even though she’s unlicensed as an investigator, the infamously nosy Ginny Mallard and her cohort Teddy Tonica have begun to make a name for themselves in solving cases. But Ginny still has her day job as an event planner, and the promise of a lucrative job draws her to Portland, with her shar-pei puppy, Georgie, in tow. Much to her shock and horror, however, she’s been led there under false pretenses—and discovers a body in the parlor of her client’s house! 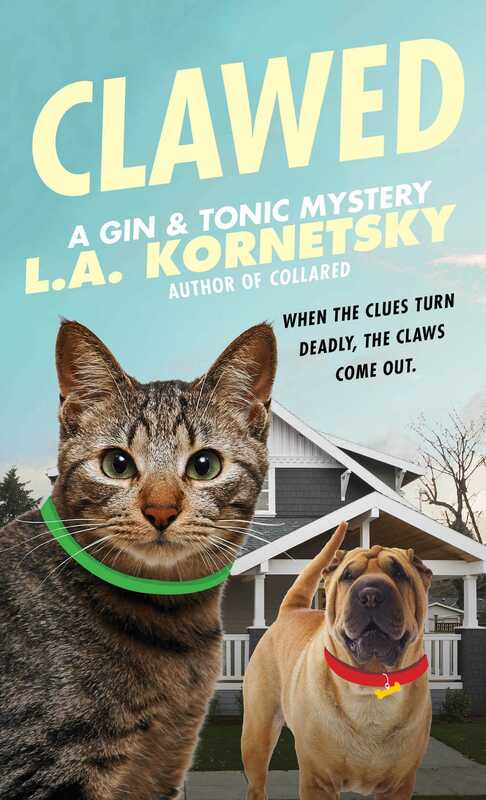 Though the cops warn her to keep her nose out of it, Ginny just can’t resist the itch to solve this case, and soon gets drawn into Portland’s seedy underbelly of identity theft, forgery, and of course, murder…with Teddy and his cat Penny’s devoted sleuthing helping her at every turn.